Are you sitting down? Good. Got a good grip on something nearby? Great. If you think last year’s announcement of “Stranger Things” being added to Universal’s Halloween Horror Nights set off a social media frenzy, that’s nothing. For 2019, we have reason to believe that “Ghostbusters” will be a featured house for both Halloween Horror Nights in Hollywood and Orlando! Ever since the announcement of “Stranger Things” returning to the event in 2019, the public thinks that this will be the big house that everyone will be talking about this year. Makes sense, since this was the marquee house of 2018, right? However, we anticipate within the next few weeks, Universal Orlando to karate chop those expectations with an announcement to throw fans of the 1984 film into a frenzy. While the new “Ghostbusters” film being directed by Jason Reitman is expected to debut in 2020, don’t worry. 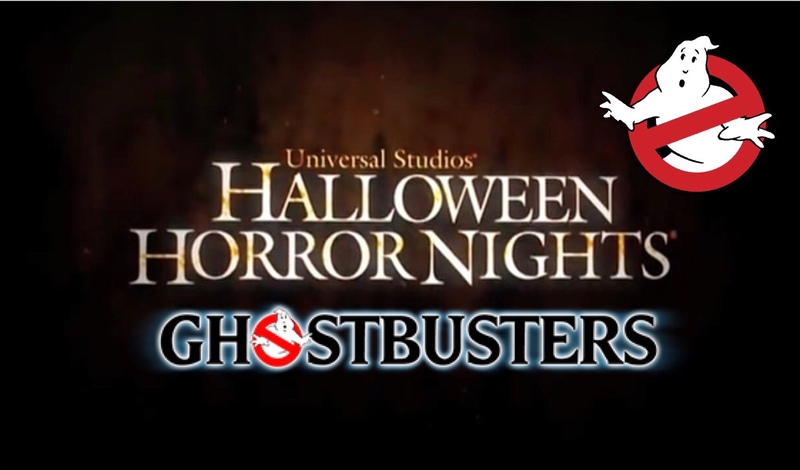 If internet rumors are true, the “Ghostbusters” house at Halloween Horror Nights will be themed to the first film! 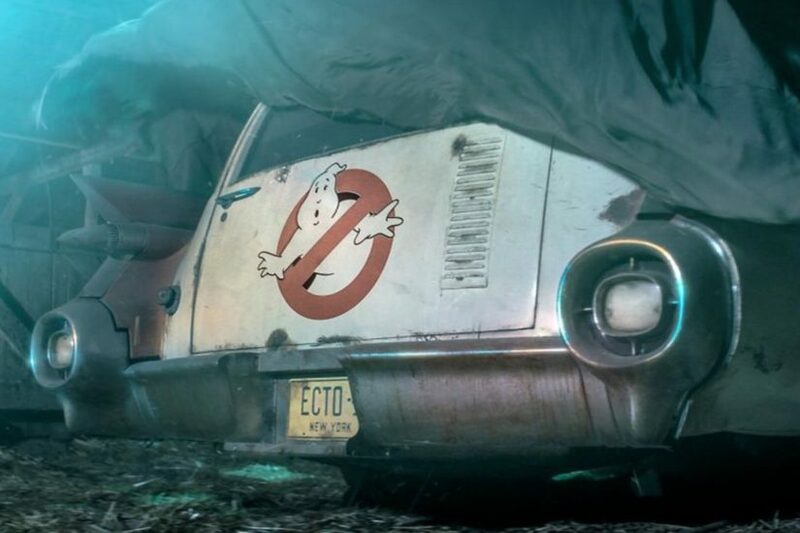 This is not to say that we may not see another house in 2020 modeled after the new “Ghostbusters” movie (currently predicted to release in July 2020). For now, let’s focus on 2019’s Halloween Horror Nights. Keep in mind, the technology used in “Ghostbusters” in 1984 was all practical effects. In order to recapture that same feel, the team at Universal is going to incorporate…. just checking… are you sitting down? 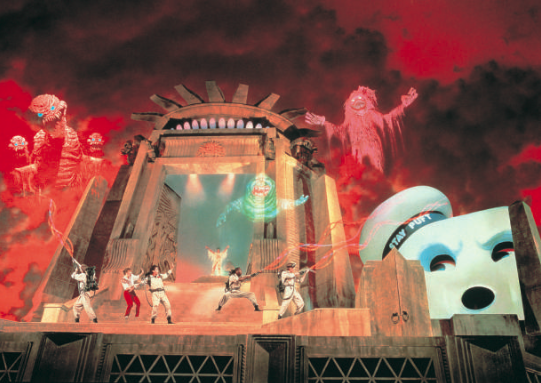 Longtime fans of Universal Studios Florida have fond memories of an opening day attraction called Ghostbusters Spooktacular. The show featured an enormous Pepper’s Ghost effect where audience members saw ghosts from the film come to life while. Animatronic versions of Stay Puft, Slimer and the rest were all above the audience’s heads and magically appeared in the rooftop finale scene of the show. If we are correct, expect to see similar Pepper’s ghost effects used in the “Ghostbusters” houses at Universal Studios Florida and Hollywood this fall! What are your thoughts? Could a “Ghostbusters” haunted house be huge for Halloween Horror Nights? We’d love to hear your thoughts! This entry was posted in Universal and tagged Ghostbusters, Ghostbusters Halloween Horror Nights, Ghostbusters Haunted House, Halloween Horror Nights, Universal Studios Florida, Universal Studios Hollywood. Bookmark the permalink. Trackbacks are closed, but you can post a comment.